WWDC 2017, the biggest annual Apple developer conference gave us a bounty of major announcements on new products, software updates for this fall. Some of my friends including me felt this it was Apple’s biggest WWDC opener in recent memory – perhaps ever. From the latest versions of iOS and macOS to a new iPad, updated iMac and MacBook Pros, HomePod and what not. 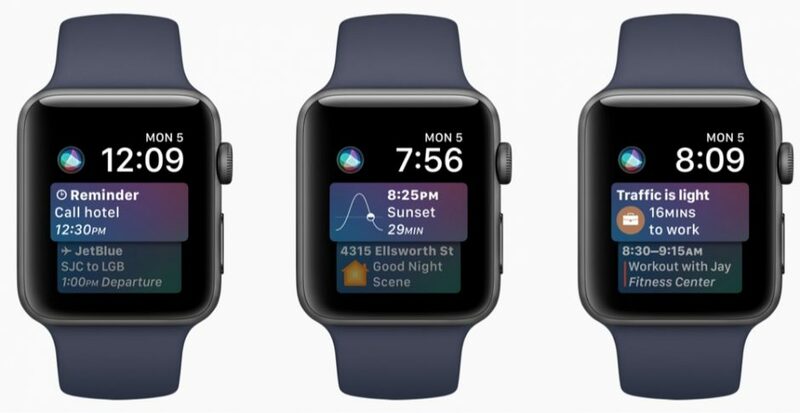 Here are the highlight of the new features in newly announced Watch OS, iOS 11, Apple Pay. Proactive and intelligent watch face with proactive Siri capabilities. Depending on the time of day and activities done by the user at that hour, watch screen changes to display most relevant information. You’ll need to choose the information you want to receive from Siri based on time, location, and your routines. With the Siri watch face on, you can raise your wrist throughout the day to receive dynamic information, such as traffic information if you’re about to leave work and sunset times in the evening. Apple also announced a couple of fun watch faces, including a “Kaleidoscope” face “Mickey” and “Minnie Mouse” faces, were some of the most popular. 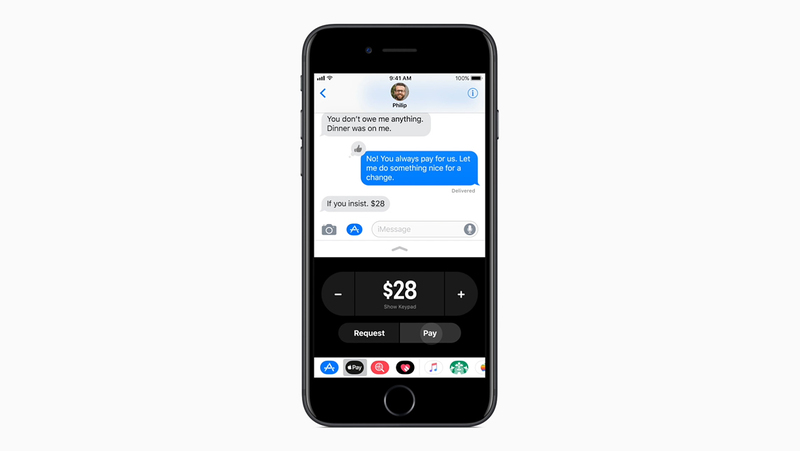 As expected, Apple revealed new iOS 11 to developers during the WWDC keynote. While it is still in beta phase, it showed a sneak peek of new features, so developers can start building their app before it is released for public. Here are the some of the updates for iOS 11 users. One of the awesome features of Android which iPhone users missed for years is the ability to on/off features right from the home page. For example, if you want to enable your mobile data, in iOS you had to open the Settings app to toggle on or off. Now with the new iOS 11, they can now customize the controls on the notification center. 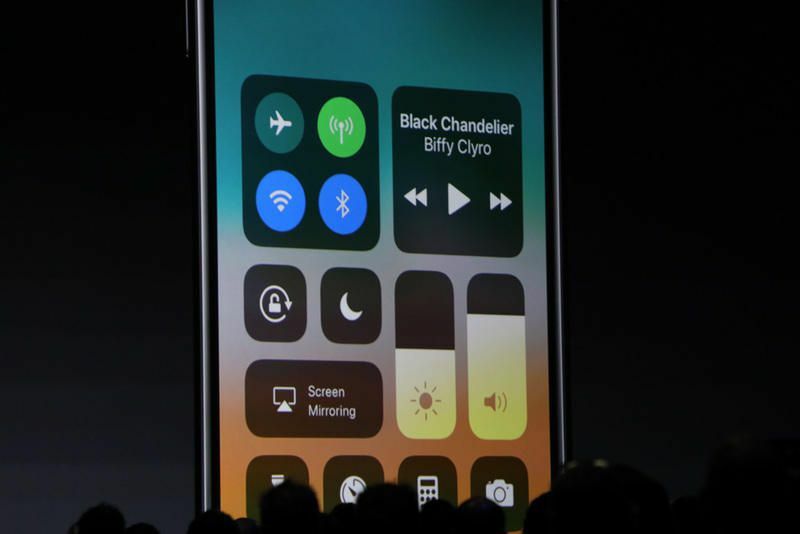 New iOS 11 brings brand new and customizable control center. Now can add more shortcuts to the control center by visiting Settings->Control center settings. Uninstalling of unused apps: There is a potion in the settings app, which will automatically uninstall the app which hasn’t been used for a while. Though the document and data for these uninstalled apps will remain in the memory in case the app is again reinstalled. The notification center screen UI is refreshed. It will now display all the current notifications for the day and all other older notification will be pushed to the bottom. Safari browser is now faster and sleeker. Users now have an option to block the annoying Auto-Play videos in the browser. Logging into apps, as Apple notes, is a source of friction for many users. We’re supposed to use complex passwords, change them frequently and not store them in unsecured places — like an Excel spreadsheet or note, for example. But it’s also difficult to remember which passwords we need to gain access to which resources if we don’t write them down somewhere. Your password can be shared quickly with any device running iOS 11. The iOS 11 features a redesigned App Store. Now it categorizes games and apps into separate sections. In additions to games and apps section, a new tab called “Today” features to display App of the Day and a Game of the Day. Editor’s picks are also displayed Today section. As for the individual pages of the apps, Apple has chosen to highlight reviews, placing more emphasis on the Editor’s Choice for instance. A preview of the content can now be seen in multiple videos displayed on the page. 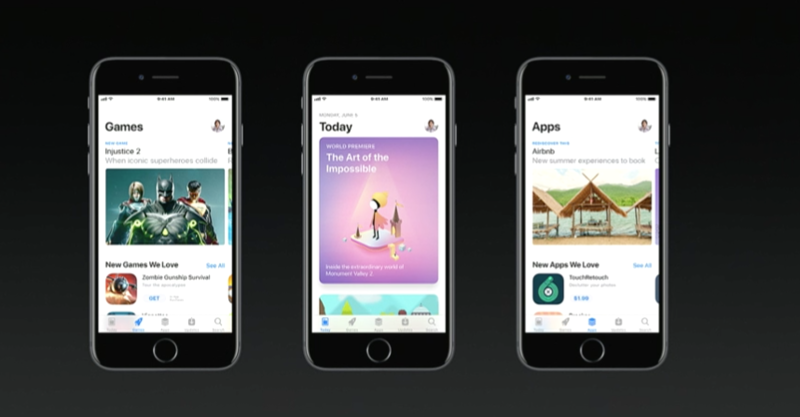 With the revamped App Store, users are now notified whenever developers launch new features for their favorite apps. iOS 11 brings screen recording inbuilt with the phone. Now you can record your phone screen while doing other things. This is amazing especially for developers to record and report bugs. This is by far one of my favorite updates. Especially for people do a lot of typing in one had while traveling in the tube, it is often very difficult with plus-sized iPhone. Now with iOS 11 one-handed keyboard, you can change the one-handed mode to compress keyboard to the side to make one-handed typing. Monthly goals customized for user capabilities. Improved animations on achievements. Now multiple workouts can be tracked and updates in a single session. ex: walk+cycle+swim. Tie up with gyms to enable data exchange between recordings in Gym equipment and watch. Introduced person to person payment. This option is available form messages app. Just swipe in from bottom and scroll through the Pay app. The received payment goes to your apple pay account card balance. You can either withdraw to your bank or use the credit for other purchases via Apple Pay. Do Not Disturb While Driving is a fantastic idea, which will understand if you’re connected to a car, and automatically activate it while driving. It blacks out your screen to prevent you seeing useless notifications while driving, and will auto-reply to texts with a message saying you’re in the car. iPhone was very frustrating when it comes to its restricted file management as compared to its rival Android. But with iOS 11, Apple breaks the silence and added a new “File Manager” app to the default system app category. It also has the ability to browse, manage and merge all data saved by the owner across several cloud-saving platforms. 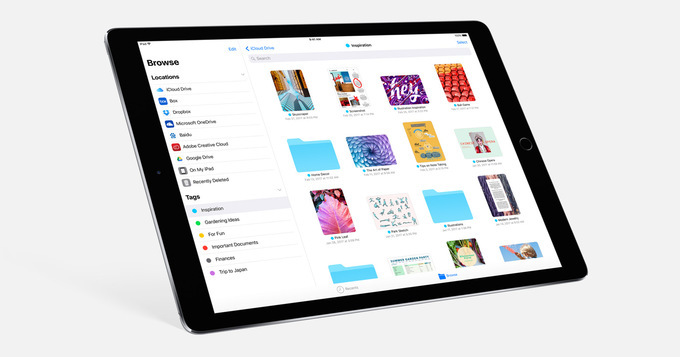 The app will allow users to organize files — including nested folders — that is locally stored on their devices or those that are saved on their iCloud Drive, Dropbox, Box, Google Drive and more. It also has the ability to gather saved searches, tags and the like from the said file-saving platforms. Alongside the above visible features, Apple’s annual developer conference added brand new APIs and features for developers to explore. Apple promised the App Store review time will be much faster. Added ability for phased release. You can now release an update to some, measure effectiveness and server loads and then make it available to a larger group. Updates Core ML framework. The software that powers Siri and all of Apple Machine learning capabilities. ARKit is added newly to the iOS family. This is indeed thrilling announcement for the Game Developers. Apps can add virtual objects to real environments and modify its properties. E.g A virtual cup’s shadow can be played around with depending on the real object Lamp’s lighting. Wireless debugging – No need for cables to debug anymore. Isn’t it amazing? ? Drag and Drop API, to move around cells with all its content(as metadata) within the app as well as between apps. Main thread API checks for UI, which will be enabled by default. When UI related code is written in the background, Xcode throws errors. Videos+HTTP live streaming included their updated H.265 compression. Better compression and streaming, lesser storage space. Massive update for XCode 9. It is completely re-written from scratch in Swift. Faster code refactoring, edits at project level made faster, smoother. And many more updates here. I can’t wait to try it out. What do you think about the new iOS 11 updates? We simply love it and can’t wait to try out.